Have fun with your Earth Day Classroom Activities this year. Look at our Earth Day Cupcakes all dressed up with their own clouds that the kiddos made. Then we got a chance to create our Earth Day Glyph Craft -- that's an Earth Day Craft and an activity-- and practice good Earth Day Practices--reduce, reuse, recycle. Teaching in the classroom and at home is SWEET. Enjoy it. 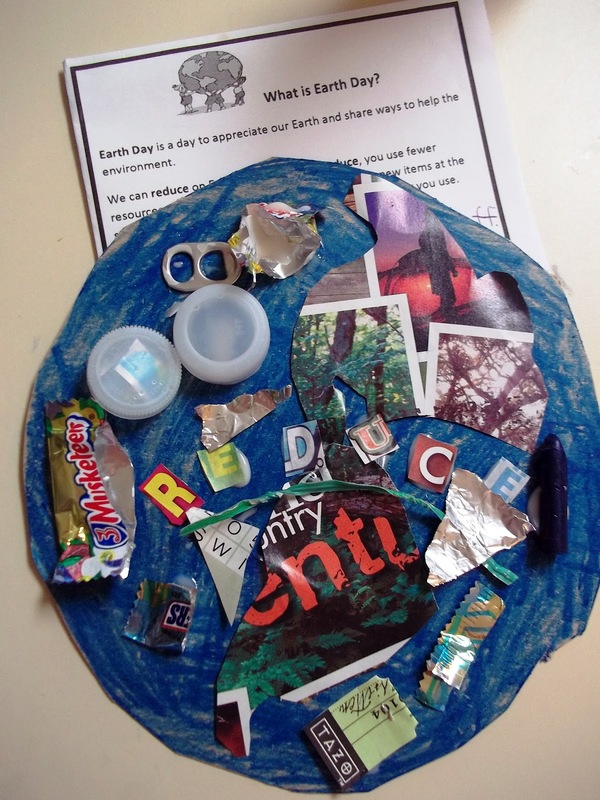 Here's another Earth Day craft for kids? 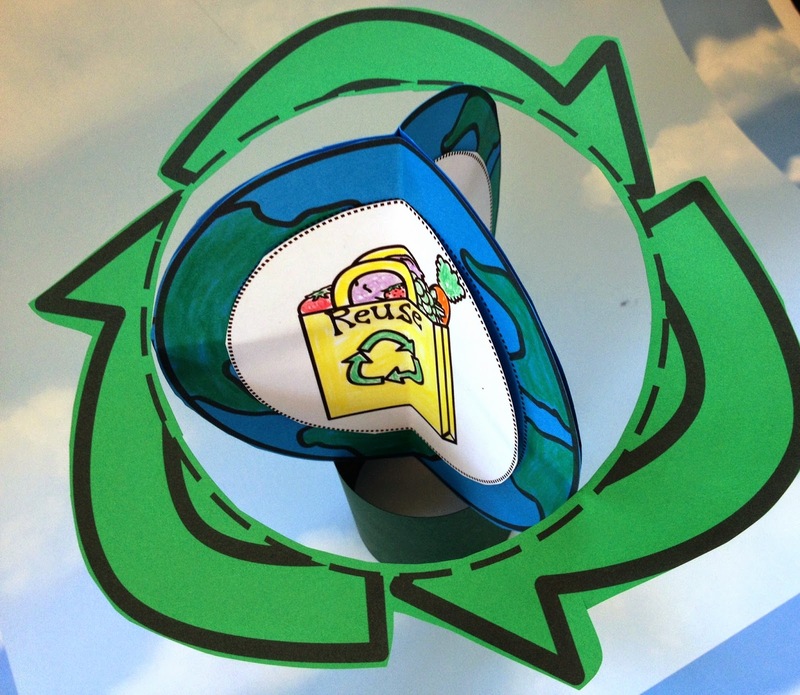 Create a 3D Earth Day Craft or a Recycling Craft throughout the year. 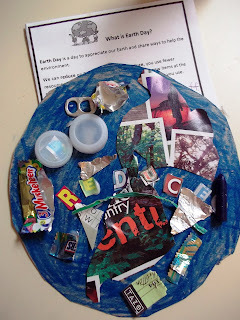 This craft is perfect to reinforce the topics taught during an Earth day science lesson about recycling and it works well as a science center too. There is also a version where the students write how they could recycle, reduce, and reuse.